and they have opportunities that others do not. Our 3 core principles form the foundation of our approach. Our story is about investing the way the wealthy do. What’s the right way to manage sudden wealth? Explore our resources for personal injury plaintiffs and recipients of sudden wealth. Opportunity is about being well positioned and well prepared. As a franchisee, you're already well-positioned. Our program is about preparing and organizing your finances to take advantage of the opportunities in front of you. There is constant chatter in the financial world on the latest hot stocks and market updates, and yet this is almost never the focus for those who enjoy stable, long-term financial success. Many personal injury plaintiffs are unable to preserve their settlement funds for as long as they require them. We provide expert guidance and strategies to ensure your wealth supports you. We start by looking at your current situation and learning about your long-term goals. This allows us to develop a financial plan and, in turn, properly align our recommendations with the time horizon(s) you have for your investments and your wealth. Before defining any specific investments or strategies, it’s essential to define your dream or vision. The capital you're investing and the wealth you’re building matter only insofar as they can help you realize those dreams. We build a clear, comprehensive financial plan that articulates your short-term and long-term goals and how we plan to achieve them. Your wealth needs to grow, but with all the options available to you, your particular growth strategy should be designed specifically to meet your needs and your capacity for risk, whether that involves stocks or leveraged investing or private equity. We construct portfolios that align with the proven framework used by well-known families and institutional investors. Your financial plan is rooted in your personal narrative – the context of your wealth needs and the circumstances that flow from them. We ensure you have a clear understanding of your plan, and we help you stay on course through regular meetings. Beginning with the most vital or time-sensitive concerns, such as legal documentation or insurance assessments, we systematically implement your wealth plan. Clear communication is an essential element when working with a family wealth advisor. Our goal is to keep the key members of the family informed, and to keep up to date on relevant changes in your lives. We also work with younger members of the family to ensure they can successfully carry your legacy forward. We have the processes and the strategies to invest responsibly, but we also implement specific rules that guide all investment decisions. This is the framework in place at all times, and it allows you to invest your wealth without the risk of emotional decision-making. We've built up the procedures, the structures and the step-by-step processes to help our clients reach their financial objectives. By working through a clear process, we can help you avoid unnecessary risk, losses and speculation. Instead of chasing returns, we emulate those who have found and maintained financial success over the long term. You have unique opportunities within your financial position, and in order to take advantage of it, we capture the methodical, unemotional approach that we see working again and again. Communication is always a priority, especially with families. 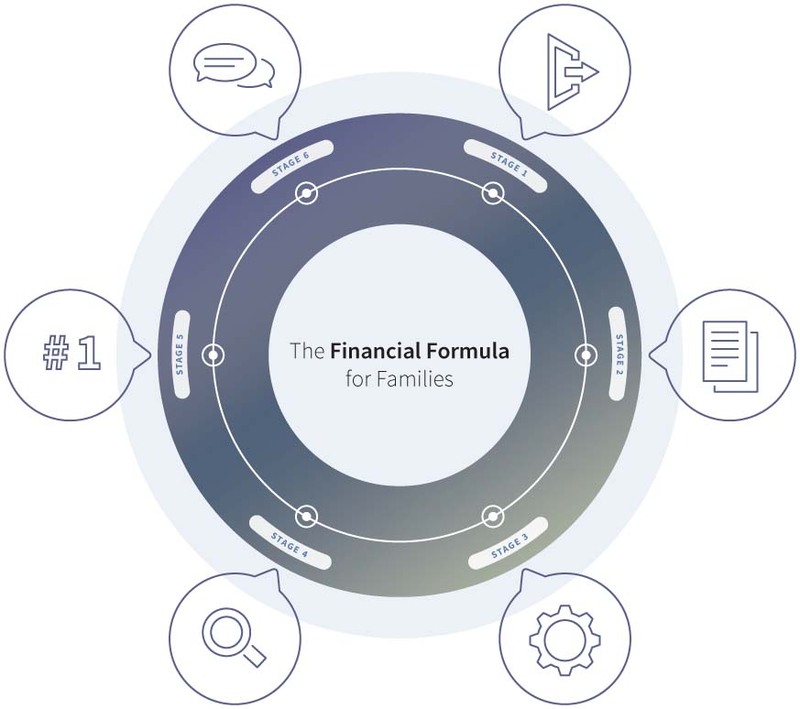 We bring multiple family members into the conversation to help you steward to the next generation not only your wealth, but also the meaning and principles behind it. When you need your wealth to last through retirement, through succession, through multiple generations and transfers, you need a plan that isn’t hinged on market performance. We take a comprehensive approach to wealth preservation. Strong wealth decisions begin with a financial plan. 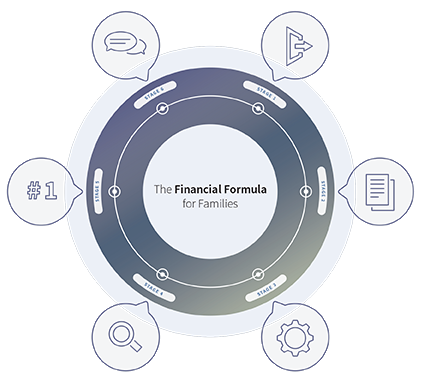 We design a custom plan around your particular needs, which works together with our framework for investing, as well as the strategies we recommend for each aspect of your wealth. We know tax. From income and estate taxation to holding companies and deferrals, we manage tax so that you can capitalize on more opportunities to save and grow your wealth. We are part of an independent firm, and it’s for this reason we’re able to provide wholly objective advice. We have the freedom to recommend the products and strategies best suited to you. Our comprehensive approach to your wealth involves a network of specialists, and to coordinate with your tax and legal experts. This helps us to organize and align all aspects of your wealth. For most, the day-to-day fluctuations of the market are an endless - and needless - source of worry. With a framework for investing and a structured process, we work to manage risk and protect your wealth.